It was eighteen years ago that I first ventured to Africa. 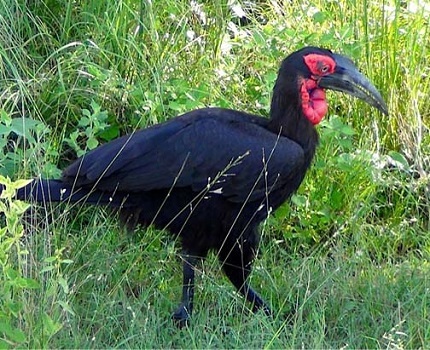 I went on several safaris and fell love seeing the wild animals in their own environment. When you’re in Africa, it is the people who are in the cages of their vehicles, and the animals are running wild. As I write this it is March 11, and I am on my way home from another incredible trip to Africa. Cape Town is near the tip of Africa. A quick trip to the top of Cable Mountain will give you a wonderful lookout over the city. 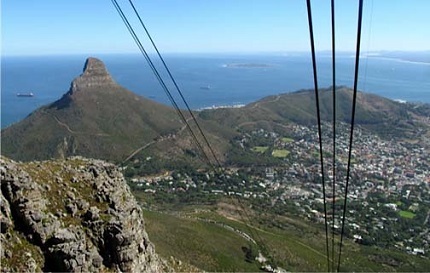 The view from Cable Mountain a flat mountain that overlooks Cape Town. In the far distance, Robbins Island is visible. Just a few miles from Cape Town is Robbins Island, where Nelson Mandela spent 27 years in prison before being released in the early 1990s. In 1994, he became the President of South Africa. Under his great leadership he led this struggling country to a democratic government. With the death of Mandela this year, the world lost a great leader. 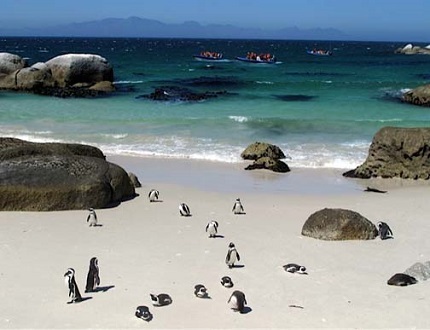 Penguin Park in Cape Town affords plenty of opportunities to interact with and photograph penguins in the wild. After spending a day visiting the highlights of Cape Town we flew to Johannesburg, which is the largest city in South Africa. Johannesburg claims to be the lightning capital of the world, but we only saw blue skies while we were there. It was then a day’s journey to Cougar Park to go on three days of safaris. On our way we visited a beautiful waterfall and enjoyed some of the beautiful flowers that bloom in the wild. 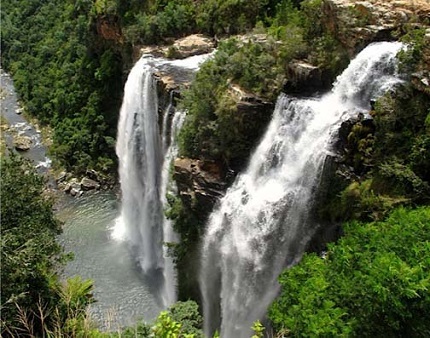 Lisbon Falls, the highest waterfall in Mpumalanga, South Africa. 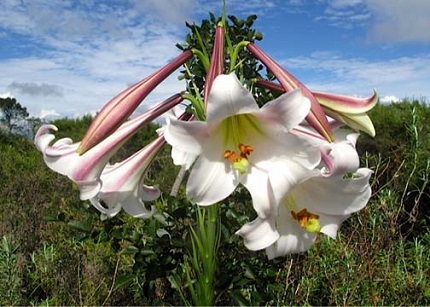 These lilies grow wild in Africa. 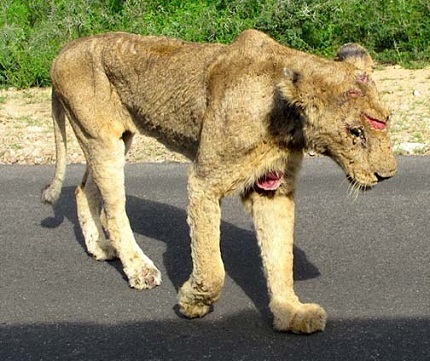 One of the sights we saw on safari was a lioness that had been severely wounded in an encounter with a warthog. A warthog’s tusks can maim or even kill a predator that we would consider much more dangerous. These wounds may yet prove fatal to this lioness. Worse, she has three cubs who are not yet self-sufficient and who will die if she does. 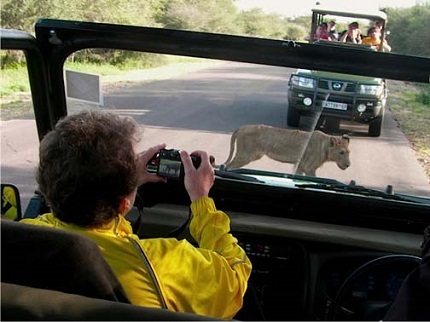 Here I am, taking a picture of a lioness. 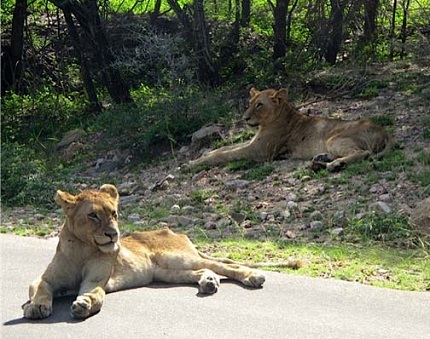 Two of three lion cubs who are in jeopardy if their mother dies of warthog tusk wounds. This beauty afforded us plenty of opportunity for photographs. Our encounter with a large elephant was an interesting one. 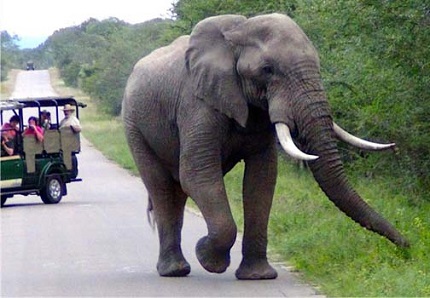 The elephant got on the road and would not leave the road and would not let us pass. We finally backed up for more than an hour. It was an adventure I will never forget. 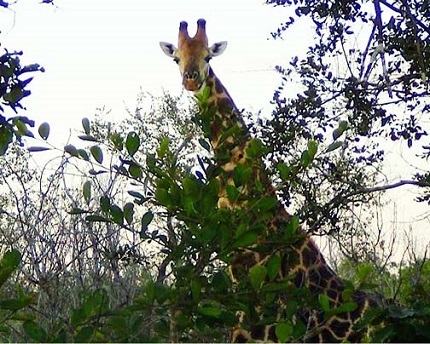 This peaceful giraffe was so unafraid of us that he seemed to pose for our cameras as he peeked at us over the tops of the trees. The sun sets on one of the most incredible experiences of my life. I can’t wait to go again and see what new adventures await me. 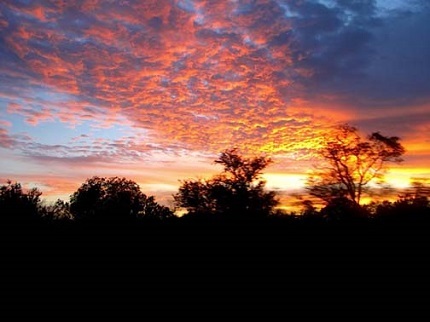 http://alanmckaytours.com/africa/august-2014-south-africa/ or write directly to me at contact@DianThomas.com.